In a Nutshell: Millions of Americans struggle with inadequate access to revolving credit, and the need for a reliable card keeps these consumers from reaching goals and building financial security. 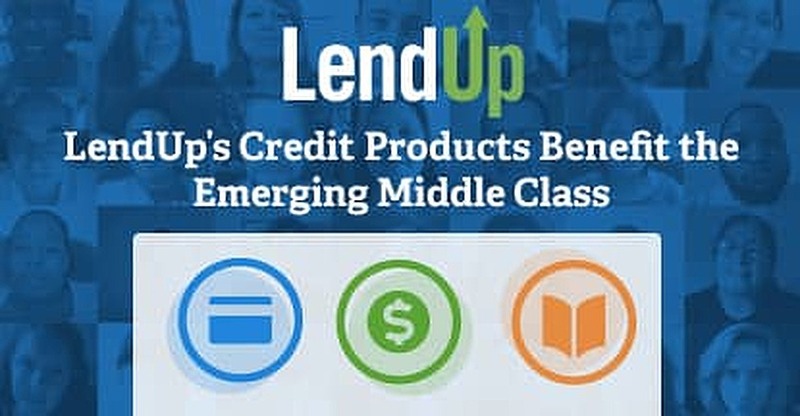 San Francisco-based LendUp aims to serve the vast segment of the US population with a damaged or limited credit history, offering the opportunity for these consumers to improve their credit profiles with products that charge transparent, competitive rates. In May of 2017, LendUp introduced the L Card and the Arrow Card, both targeted at this demographic, which combine cutting-edge technology with low fees and rates. The company also takes the next step with its educational offerings, giving cardholders information on how to improve their credit through bite-sized, mobile-friendly lessons as they use their cards. So many direct-mail credit card offers are sent to consumers each year, you’d think available credit was growing on trees in America. But behind the fancy printouts promising low rates and financial freedom lies a truth that is hard for some to believe. More than half of American adults struggle with credit, either because they’re among the 45 million adults with no credit score at all, or because their score is too low to qualify for prime rates. Indeed, if a ladder existed that led consumers to financial freedom, rungs of that ladder would be missing for these Americans. While some consumers receive many credit offers, others get none, and the need for available credit is just as strong in these homes. Headquartered in San Francisco, LendUp sees this issue every day as it helps people find reasonable financing; the company’s average new loan customer has a median VantageScore credit score of 550, which would typically resign them to expensive financing options or force them to forego financing altogether. By providing a more affordable alternative, LendUp has saved Americans more than $138 million in interest and fees when compared with traditional small-dollar lenders. Founded on aspirations to create a financial platform for the emerging middle class, the company turned its focus toward creating a socially-responsible line of revolving credit cards after the success of its positive payday-loan alternatives. Its goal is to help Americans climb the ladder toward their dreams with a little educational guidance along the way. LendUp COO Vijesh Iyer told us the company was designed as a better alternative to predatory lending. “We find that there is a large cross-section of the US population, about 55% to 56%, whose financial needs are just not being met by the traditional financial system today,” said LendUp COO Vijesh Iyer. “They struggle to get access to credit at all, or they can get credit, but it’s on terms that are not reasonable or appropriate. Then, they are preyed upon by different parts of the financial system. That’s the demographic — at its core — that we are trying to serve. We call them the emerging middle class. Through competitive rates on financial products, like loans and lines of credit, LendUp is giving Americans with damaged or limited credit histories an opportunity to improve their financial lives. Introduced in May 2017, the L Card and Arrow Card have the frills you’d expect from a modern credit offering, but each is packed with a purpose — one that the company hopes will eventually become the norm in the credit sector. While the availability of LendUp’s Arrow Card to those with subprime credit scores is probably its most important aspect, technology is also a driving factor behind the card. In the works since 2015, there are between 600 and 700 current beta testers on the company’s Arrow App. The aim of the program is to not only offer a way to manage your card and make payments, but to also set payment reminders and view short educational lessons catered to each cardholder’s needs. When money is tight, the app is there to help you decide which bills should be paid first. Showing cardholders how much credit really costs them and ways to improve their financial standing are also built into the app. The unsecured card that accompanies the app features an annual fee that ranges between $0 and $75, depending on creditworthiness. Interest rates range between 20.49% and 30.49% based on the market’s prime rate, but LendUp’s grace period on new purchases gives subprime cardholders more flexibility in avoiding late fees. Credit lines start as low as $300 for the Arrow Card, but regular on-time payments have led to periodic credit limit increases among cardholders. The card is issued by Transportation Alliance Bank, a Utah-based company with a focus on technological advances that became a perfect partner for LendUp’s tech offering. “With the Arrow Card and app, we have the mobile technology to drive the kind of change that we talk about,” Vijesh said. “So that card features a lot more of our mobile-based technology and customized experiences. LendUp’s L Card is issued in partnership with Oakland-based Beneficial State Bank, which was started by hedge fund manager turned philanthropist Tom Steyer and his wife, Kat Taylor. 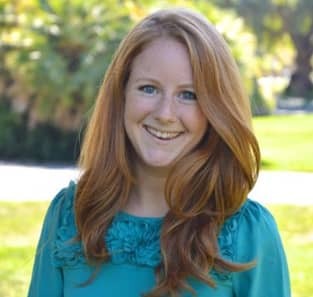 The pair founded the Community Development Financial Institution in hopes of offering financial solutions to people who did not have as many options available to them. Beneficial is a logical partner for the L Card, which has a similar goal. With rates ranging between 20.99% and 30.99%, the card shines when examining the usage fees. Annual fees range between $0 and $60 depending on your profile. Late payments are capped at no more than $7, which is very low within the space. Returned payment fees never eclipse $25, with no charge for going over your credit limit. Social responsibility is at the core of LendUp’s lending and credit options. The company isn’t just looking to offer credit lines to responsible consumers, but it wants to thrive by doing things the right way and helping customers reach their goals to mutual benefit. Emma told us a lot of research goes into developing the products that will best serve subprime clients. While the technology focus is apparent with the Arrow Card, Vijesh says that’s just one of three principles that LendUp uses in guiding its business. The other two objectives are promoting education, and extending incentives to clients. With that education comes the opportunity to improve your financial health and your standing with the company. With a positive track record of payments comes higher credit limits and improved rates. LendUp’s focus on serving an underserved demographic is both noble and needed. It’s imperative in this day and age to have access to some sort of revolving credit. Too many Americans are denied this access because of previous mistakes, or a lack of credit history. The company focuses on these consumers and offers them a ladder to climb toward the type of financial freedom that we all dream about reaching. Its technology and educational offerings are on par with the more established card offerings and bring with them a chance for cardholders to learn while improving their scores. The educational courses are designed to meet the needs of busy people, with each consisting of a three- to four-minute video with a short quiz at the end. They’re easily digestible, but packed with information like the true cost of credit and how to protect yourself online.